Leyton Orient kept themselves at the summit of the National League with their second win this week, after a 2-1 triumph away to Sutton United. With all sides having three games left the O’s are two points clear of their nearest challengers Salford City. Jonah Ayunga put the home side ahead on 52 minutes before Orient equalised through Dan Happe 12 minutes later. The visitors then had James Dayton sent off, following a bizarre incident when the forward was adjudged to have thrown his boot towards referee Daniel Middleton. But in spite of this setback Justin Edinburgh’s men took all three points, thanks to Macaulay Bonne’s penalty a minute from time after the O’s top scorer had been brought down by Sutton goalkeeper Ross Worner. 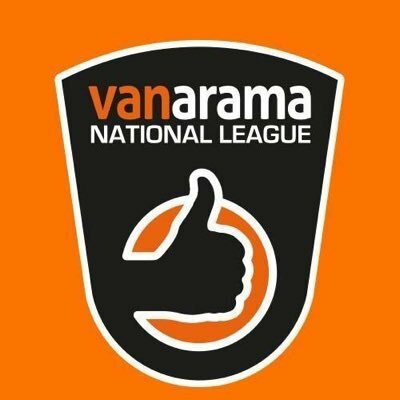 Meanwhile, Dagenham & Redbridge also had cause to celebrate as they made sure of safety from the drop with a 1-0 win away to Ebbsfleet United, Tomi Adeloye’s 24th minute strike combined with results elsewhere ensuring that Peter Taylor’s men will once again compete in the top division of non-League football next season. In the National League South Chelmsford City edged closer to guaranteeing a play-off spot, and put the disappointment of their Essex Senior Cup final defeat in midweek behind them with an excellent 2-0 victory over second placed Woking at the Melbourne Community Stadium. Rhys Murphy and Adrian Cascaval’s goals ensured victory over the Cards, whose lingering hopes of a title win were ended by a combination of this defeat and Torquay’s 2-0 win at home to Eastbourne, ensuring that the league championship and one automatic promotion spot went to the Devon club. BIllericay Town ended their recent poor run of results with an emphatic 4-1 win away to struggling Gloucester City. Dejon Noel-Williams put the Tigers in front after 17 minutes, but Charlie Wassmer levelled for Blues on the hour and a Moses Emmanuel hat-trick – his third coming from the penalty spot – ensured a move up to sixth place for Harry Wheeler’s side. Concord Rangers‘ hopes of also making the top seven were dealt a severe blow as they went down 1-0 to Oxford City at the Aspect Arena, Brandon Thomas-Asante’s strike 8 minutes into the second half ensuring a defeat which left the Beach Boys in 10th place, although they are still only three points away from the play-off spots with a game in hand on all of the teams above them. East Thurrock United remain in 21st place and 4 points from safety, after failing to capitalise on their midweek Essex Senior Cup win and missing a vital chance to steer towards survival as they were defeated 3–2 by the only side below them – Weston-Super-Mare – at Rookery Hill. Sam Higgins put Rocks ahead after 19 minutes before Jackson equalised just before half time. Llewellyn put the visitors ahead on 72 minutes and although Ryan Scott levelled for John Coventry’s team 10 minutes before the end, Bray grabbed the winner for Weston in the 82nd minute.